When the smoking ban came into place in the Netherlands almost ten years ago, the government offered an alternative to cafés, restaurants and nightclubs: they could build their own separate smoking rooms. A quarter of catering establishments took up this offer and invested in a smoking room for its patrons to benefit from. This month, however, the Dutch government has gone back on its word, and has decided to ban smoking rooms in all bars, cafés, restaurants and nightclubs after a lawsuit from Clean Air Nederland (CAN). CAN argues that although smoking rooms are separated from the main areas of bars and nightclubs, it is inevitable that tobacco smoke spreads throughout the establishment, meaning that non-smokers unavoidably inhale smoke against their will. The court in The Hague acted in favour of CAN’s lawsuit, additionally claiming that non-smokers who are spending time with friends who are smokers might feel peer pressure to join them in the smoking room, thus exposing them to a large amount of smoke. 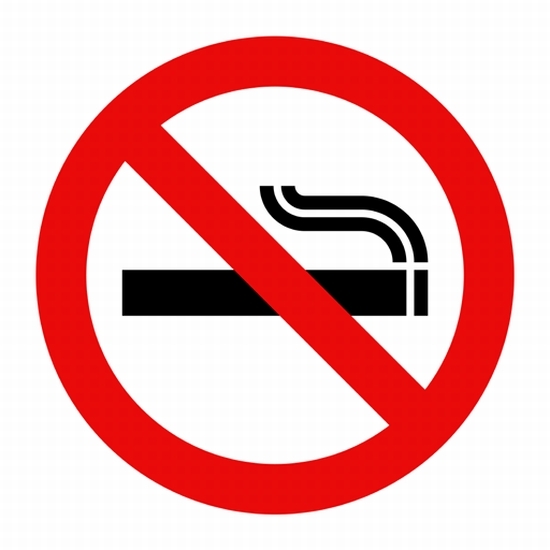 Since there is no safe level of exposure to tobacco smoke, this has a negative impact on the non-smoker’s health. In addition, the court argues that smoking rooms are unfair for the staff who are required to clean them up at the end of the day, and are then exposed to the cigarette smoke whether or not they choose to smoke themselves. The move came as a major shock for the Dutch “horeca” industry, which has been trying to comply with changing laws regarding smoking patrons for the past decade. Bernadet Naber, spokesperson of the Royal Dutch Horeca (KHN), said that they have been inundated with calls from worried entrepreneurs in the hospitality and food industries, many of whom had invested large amounts of money into creating smoking areas when the first ban came into place in 2008. As Naber points out, making a smoking room in a restaurant or bar involves heavily insulating an area of around 35 square meters, and installing an expensive extraction system. She says that this often costs up to €40,000, – a very large sum for owners of small bars and restaurants – and the change in law is unfair on entrepreneurs who have spent so much money to comply with the regulations, only to now shut down the smoking room. KHN has now taken steps to attempt to overturn the ban, by sending a letter urging the secretary of state to go to the Supreme Court to have the the judgement of the court annulled. KHN further claims that establishments such as bars and nightclubs had invested tens of thousands of euros into smoking rooms under the assumption that the Dutch law permitting them would be long-term. They expect that if the ruling is not overturned, large numbers of hospitality establishment owners will request compensation from the government. CAN’s lawsuit against smoking rooms included those in all public areas, although the court in The Hague decided to only shut down those in the “horeca” industry, as CAN did not provide sufficient evidence to support their claims. For now, it is just bars, cafés and nightclubs who will have to comply with this surprising regulation. The ban is seen by many as a short-term solution: after all, ten years ago, it was decided that separate smoking rooms would be allowed in bars and restaurants, but this decision has now been reversed. Many are asking what the next step is – that cigarettes are only available at petrol stations? And as one unhappy bar owner pointed out, cigarette butts thrown on the street don’t exactly make a pretty sight either.